This event is being coordinated by the Town of Smyrna and the Smyrna VFW and will honor all Veterans that have served our country. This year also marks the 100th year anniversary of Veterans Day. On the eleventh hour of the eleventh day of the eleventh month of 1918, the Armistice with Germany went into effect ending the First World War. Armistice Day is recognized on November 11th in countries throughout the World. In 1954, Armistice Day became Veterans Day in the United States to honor the veterans of all wars. 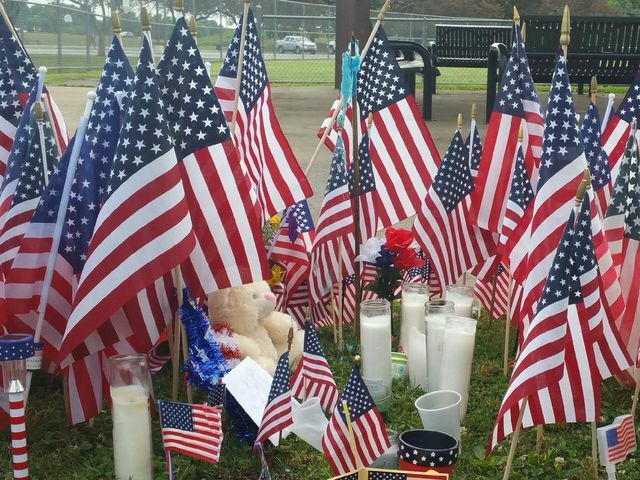 Everyone is invited to join us at the site of the Captain Jeff Kuss USMC Memorial for this year's remembrance on Sunday, November 11th at 11:00am.